It’s time for an upgrade on your family RV. It’s been more than a few years that you’ve been looking at it wondering why you haven’t upgraded… it’s probably because it takes a lot of time (because it DOES take a lot of time!). We get it, it’s work that you just don’t want to have to deal with, which is why we’re here to tell you the perfect, easiest solution to this problem: RV consignment! Consign with us, and you’ll never have to look back. It’s just THAT easy. How does consignment work exactly? We’ll start by giving you a free evaluation of the recreational vehicle. After we check out your RV, we help you establish a fair market value and price that you are comfortable with. There’s no reason to worry, as our our dealership is properly licensed and insured, and staffed with well-seasoned RV professionals. We will provide consignment documents for your review. There’s no long term contract or hidden fees for consignment at Campbell RV. Who has the time required to research and market your RV? We do! Our marketing team uses our own marketing plan to skillfully reach RV buyers. We find buyers through internet searches from across the country. We invest heavily in research and marketing technology to reach qualified buyers. Buyers will come from all over Florida as well as all over the United States and Canada to browse through our clean selection of RVs, which means we have customers searching for an RV like yours right now. Because we’re in Florida, any time is the perfect time to sell an RV, and with our expertise, it’ll sell in no time, without having to wait around for any snow to melt. 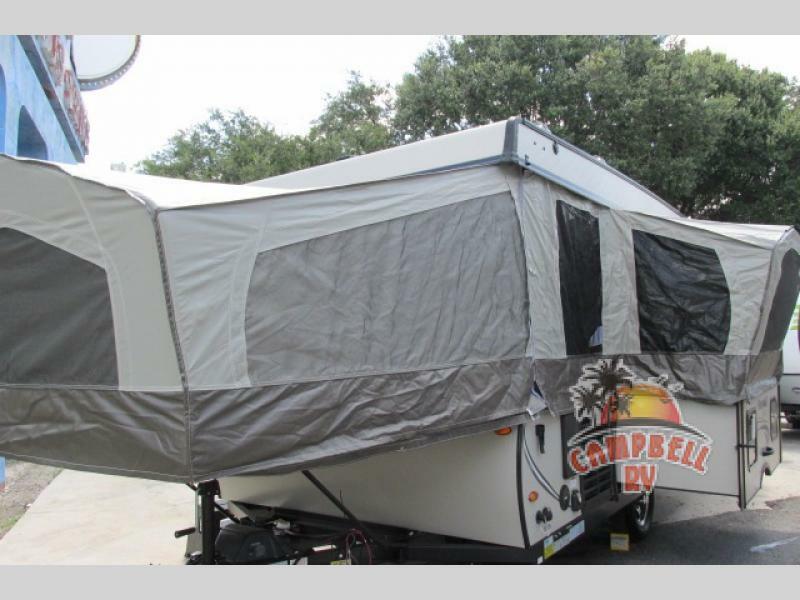 We’re in a year round market for selling RVs and buyers absolutely love to come to Campbell for their camping purchases! Why NOT Consign My RV? It’s That Simple. Is it time for upgrade? Consign your used RV and let us take care of everything while you search for our various new RVs for sale. Contact us today for more information about consignment and to help answer any questions you may have concerning your favorite new RV!